Alex Smith ignores sensible budgets and seamanship practicalities in pursuit of five powerboats that take style to the next level. 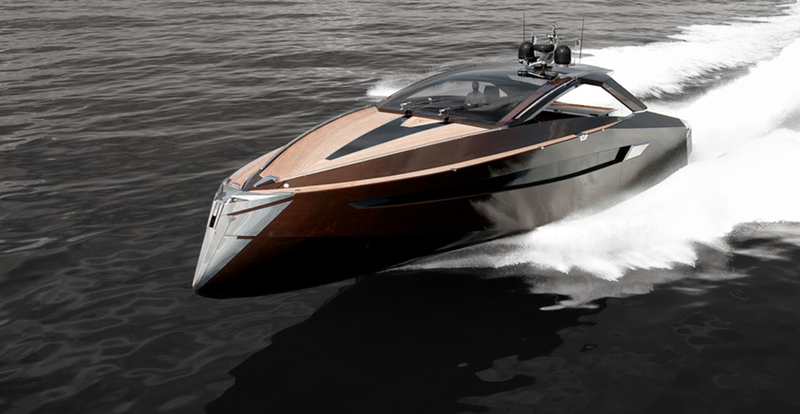 There are plenty of stylish powerboats in the world. When looking at boats (or indeed any object required to travel at pace through wind or water), form and function often come into pleasing union. In fact, with their fluid lines and softened angles, most high-performance powerboats tend to look as though they’ve been raked into shape by the unforgiving blast of a wind tunnel. Art of Kinetik is an astonishingly impressive builder. As the debut craft from bold and incendiary young Serbian boatyard, Art of Kinetik, the aptly named ‘Hedonist’ is as prickly and confrontational as it is slick and alluring. 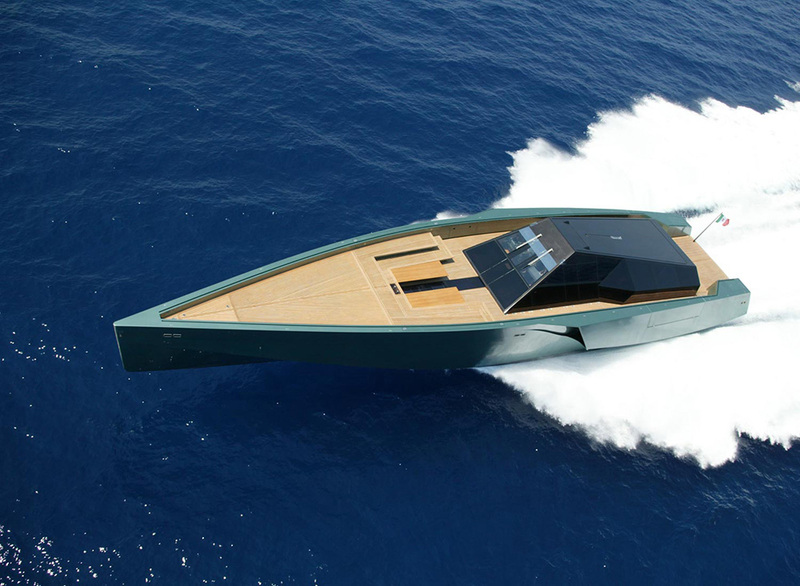 It uses a hull and superstructure built entirely from mahogany, subtly trimmed with stainless steel and shaped with an aggressive reverse bow and a harmonious clash of curve and edge. A trio of MAN diesel engines matched to Rolls Royce jet drives will bring you a top end well in excess of 40 knots but it’s the wholesale sophistication of the style that really leaves a mark. The dash is like a space-age art installation and even the sunbed exhibits a subtle but pleasing taper as it runs aft. Everything here is bespoke, from the dazzlingly lovely foldout steps to the hydraulically operated cleat covers and even the crockery. There is an Open model available – but if you admire the style, the more recent (and equally astonishing) Antagonist and Mazokist craft are also a stylistic revelation. 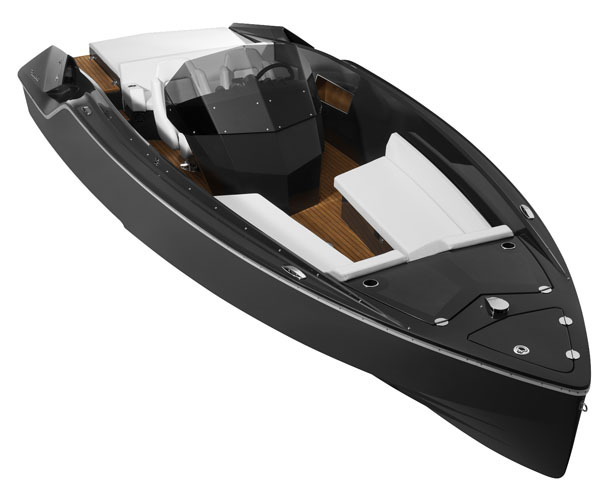 The stylish Frauscher 858 Fantom fully deserves inclusion in the list. Ah, Frauscher. 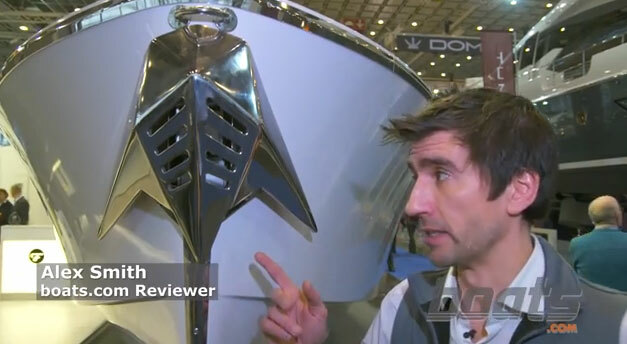 Purveyors of boat show eye candy that the common man can just about aspire to own. 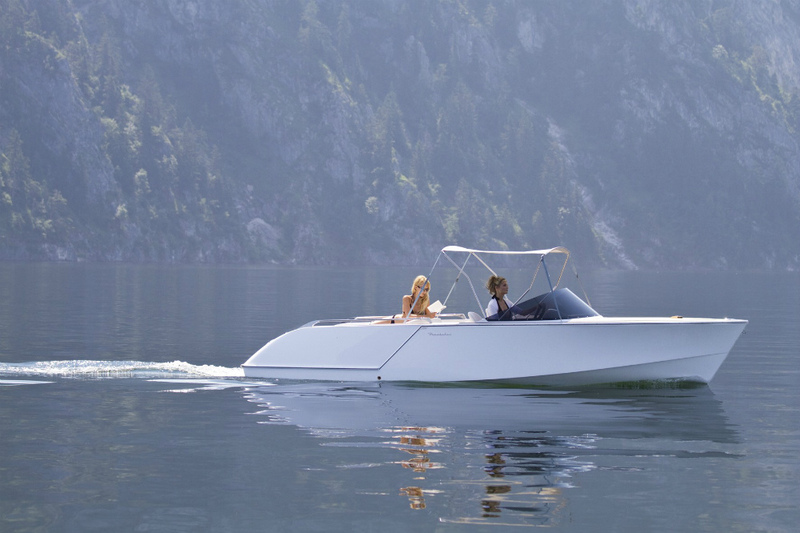 All the powerboats from this increasingly acclaimed Austrian builder are a pleasure to behold but the 858 Fantom is particularly special. Based on Italian and German sports cars and designed by Kiska (one of the teams behind KTM and Audi), nothing here is permitted to interrupt simple purity of form. There are no windows or grab rails, the raked, wraparound screen is rimless, the swim platform is tightly integrated into the aft mouldings and the foredeck is flatter and more tapered than you might believe possible on a cabin-equipped craft. The hull joins the party with long, slick spray rails, deep-set steps and a bespoke stainless steel anchor, polished and sparkling, rammed tight up beneath the rapier bow. 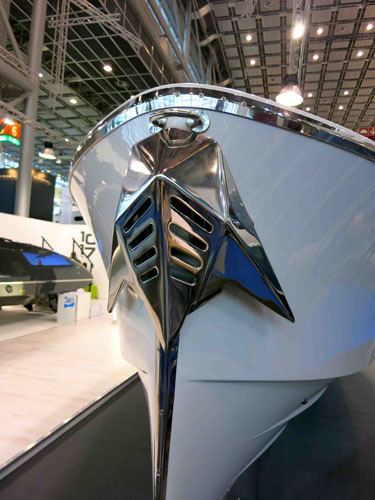 It’s muscular, it’s imaginative – and like all the world’s most stylish automotive creations, it feels sculpturally affecting, even when perched on a stationery boat show stand. It might be the only mainstream entry in this unashamedly exalted list, but it fully warrants its place. A glass superstructure and petrol paintwork are only part of the Wally 118 story. It’s quite possible you’ll disagree with me here, not least because Wally produces various other craft of more palatable and approachable loveliness - like the Ace and the 55. However, with its quasi-military form, its bizarre stealth styling and its sheer masculine potency, the controversial 118 is difficult to overlook. Built in the form of a fast offshore commercial craft with superyacht luxuries, the 118 used Ferrari’s famous aerodynamics tunnel to hone its raked form and Wally has further exploited that with a superstructure built from triple-laminated glass panels laid around a carbon composite frame. It also uses dark metallic, petrol-green paintwork, which alters its hue as the angle changes – and at just 86 tonnes in weight, this 17,000hp monster will back up its forthright posturing with a top end in excess of 60 knots. However, even if you were to overlook the outrageous performance, the 118 would still rank as a genuinely special custom yacht and a huge stylistic statement. 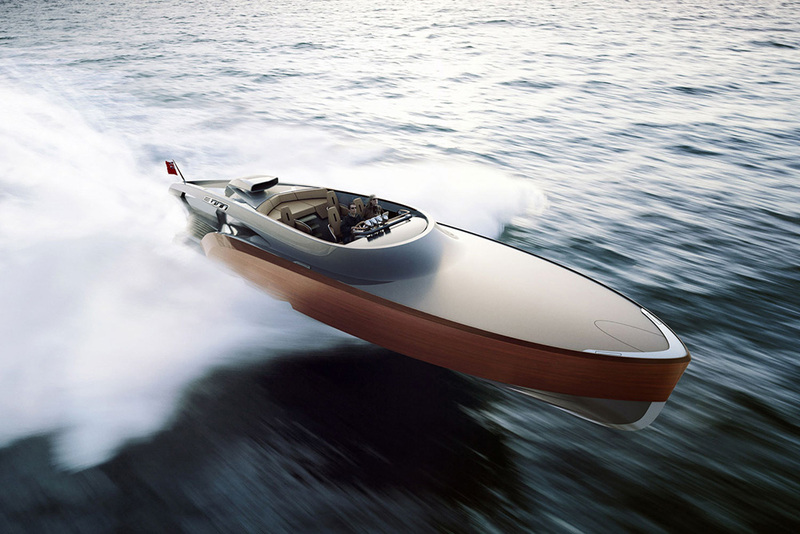 The Spitfire-inspires Aeroboat might be the best-looking thing we have ever seen. Conceived by Hampshire-based design team, Claydon Reeves, the Aeroboat is a 48-foot, seven-man express cruiser, based largely on the legendary Spitfire. Not only does it use the same supercharged Rolls Royce Merlin V12 engine as the famed aircraft (generating an output of up to 2,500hp and speeds well beyond 50 knots) but its sublime lines are also inspired by Britain’s best loved WWII fighter plane. 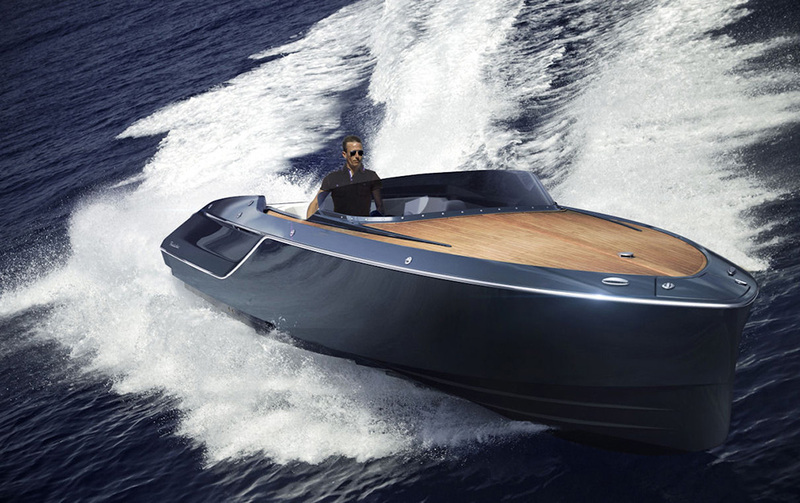 Built from carbon fibre with wood veneer, this £3million superboat very aptly combines traditional concepts (like hand-stitched leather seats and a wooden dash) with hi-tech features like a joystick throttle and touchscreen navigation. 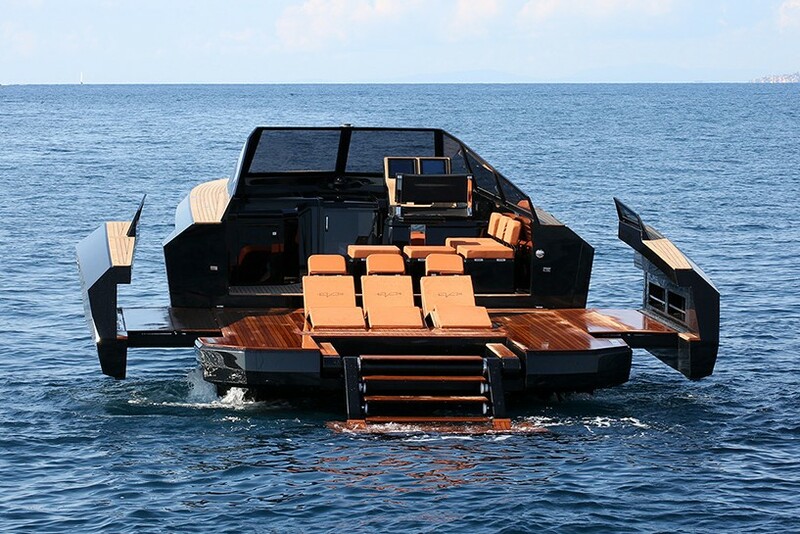 Plainly, the vast powerplant, the other-worldly shape and the radically tapered aft sections will give the Aeroboat a presence unlike anything else on the water – and yet, believe it or not, the fluid, corporeal loveliness of the cabin is every bit as astonishing. Only 10 are to be built, each to the customer’s bespoke specifications, but if the stated aim of this young company is to reinvigorate yacht design, then a portfolio bolstered by this magnificent craft is a great place to start. With great style comes great debate over the true essence of beauty. Have I gone mad? 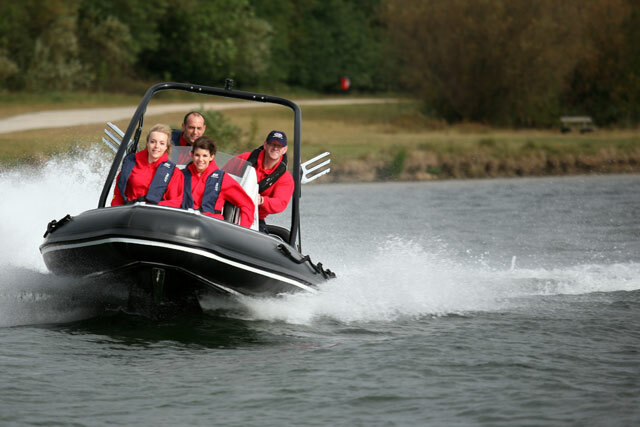 Well not entirely - because while the super stylish RIB revolution may have started with the likes of Pascoe’s SY10 superyacht tender, it has come on greatly since then, with a wave of extraordinary designs that bear little resemblance to the gritty commercial underpinnings of the RIB form. 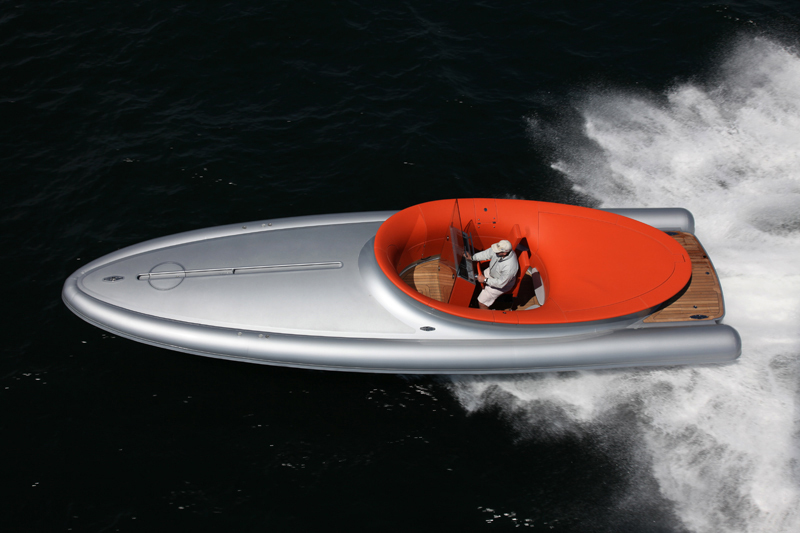 This 10-metre RIB tender from Philippe Starck and Ocke Mannerfelt is a prime example. 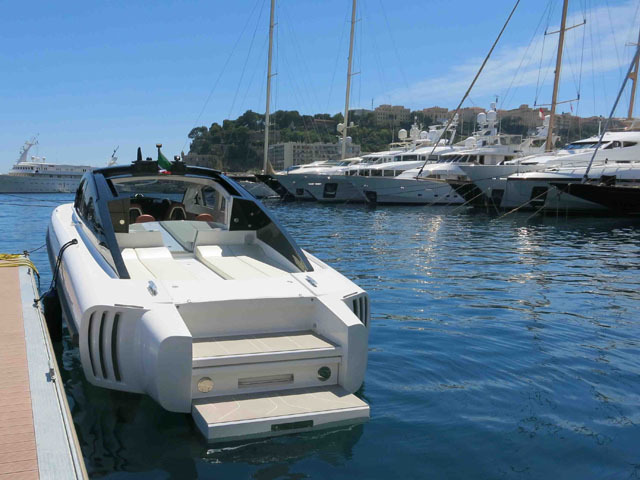 Built from a resin-infused E-glass carbon fibre sandwich and powered by twin Yanmar 6LPA 315hp sterndrive engines, its heavily tapered inflatable tubes are colour-matched to the silver foredeck and hull. The flush–fitting anchor and frameless screen do a great job of keeping the lines uncluttered and with its “Parisian-stitched” bright orange leather seats, that gaping oval cockpit is also unlike anything else in the world. Access to the cockpit is via seamlessly integrated retractable teak steps and once inside, a slick pantograph door offers access to a double berth, a pair of settees and a heads compartment. As a ten-metre RIB for two people, it’s not exactly practical - and to my mind, it looks more like a pearlescent shellfish with a huge, fleshy rupture than an object of automotive desire. But if uninhibited individuality is what you want, it doesn’t get more barefaced than this. For more stunning powerboats, see Sexiest boats: six of the best and Babe magnets: boats to wow the ladies.